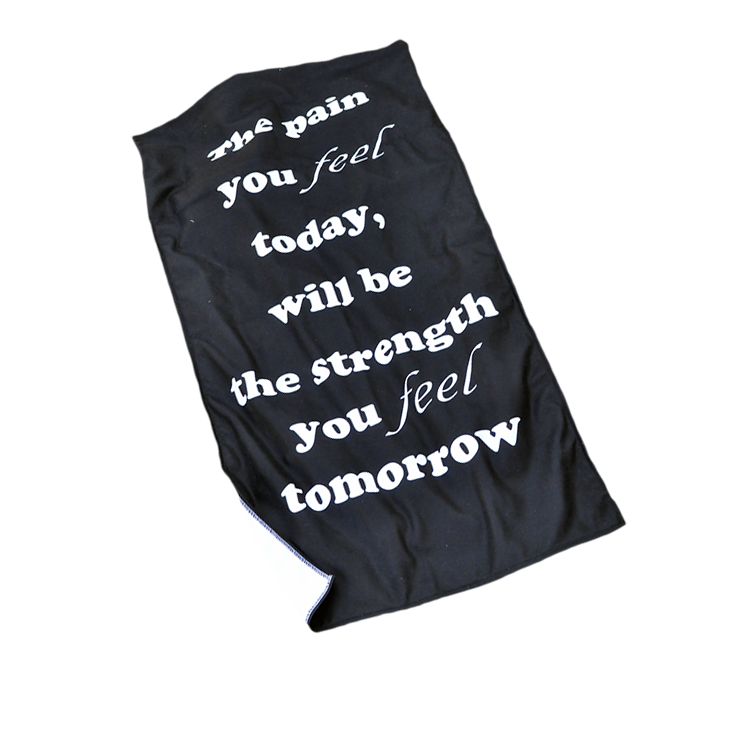 Sprot towels with printed border! 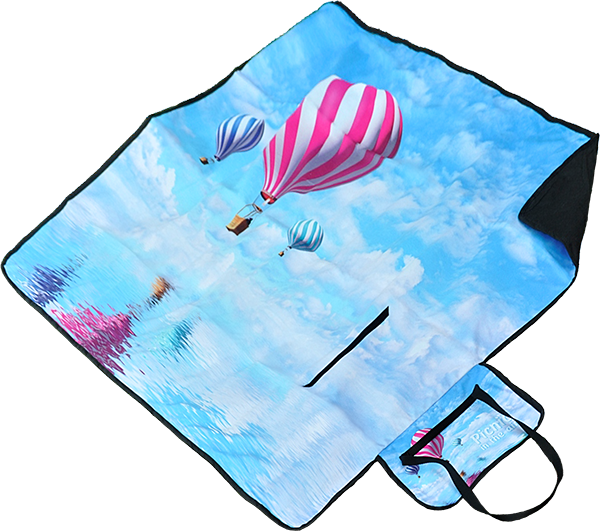 In order to meet the quality requirements of our customers, we have introduced advertising products with high resolution digital printing. 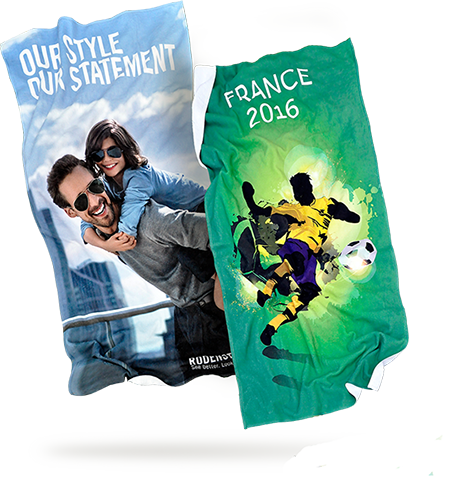 This technology allows us to make towels, blankets, hassock or deckchairs with full-colour printing. 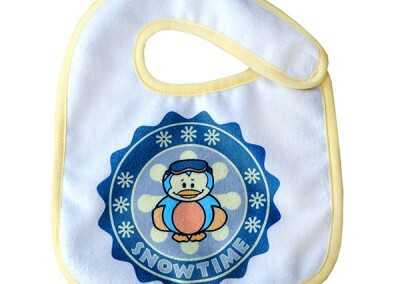 Additionally, it gives us the possibility to start the production at only 100 pieces. 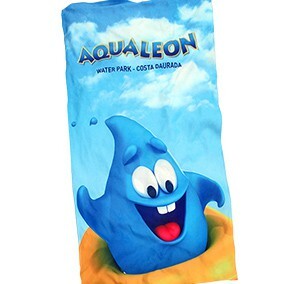 In case of a large order, we also offer our clients the option of woven logo on textiles in full colour range. Such items (e.g. towels, bags, etc.) are made according to the clients design. 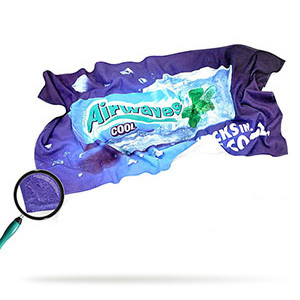 The logo can cover the whole surface of the item. In this technology, the bordure is made of jacquard which is perfect to present the company logo in aesthetic and most elegant form. Items created in this technology can be used as promotional gadgets as well as for branding items in hotels, guest houses and SPA. 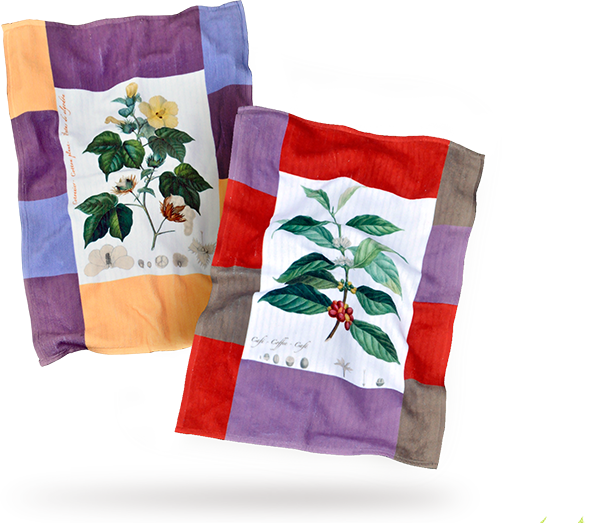 Bordure is a decorative band on a fabric which can be digitally printed in high resolution with an image by your choice. This kind of branding is very elegant and practical. 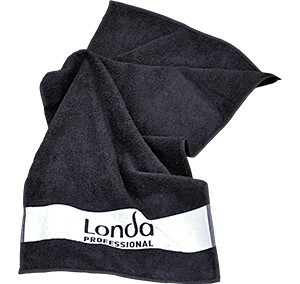 In case of a towel, the bordure can be placed on one or both sides of the promotional item. 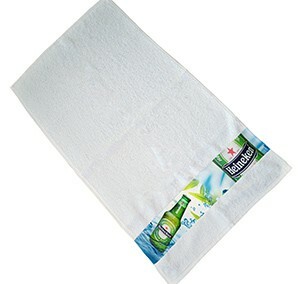 The computerized embroidery machines allow us to personalize not only towels, but also all kinds of textiles and clothing items. 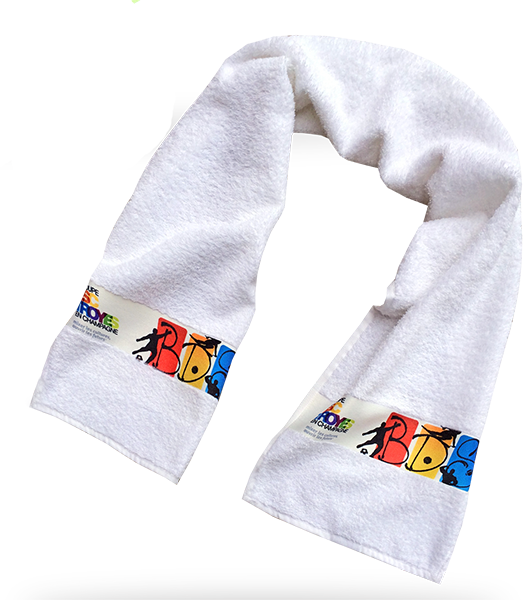 Embroidery is a permanent and smart form used to add a personal touch to promotional gadgets as well as home use items. 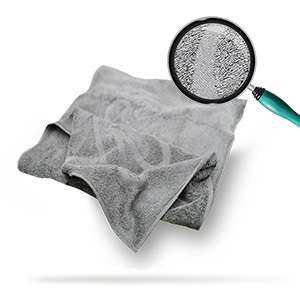 We use the latest technology to brand promotional gadgets like towels or blankets. One of the most effective methods is the so called ‘relief’, which is based on embossing an image on a textile. This technique turns the advertising products into luxury gadgets with a discreet logo of the company. …are the effect of our graphic designers’ efforts to satisfy our clients’ needs. Thus, they are constantly encouraged to look for new solutions in the art of textile production and branding. Many of the products we now offer is the result of our cooperation with clients. 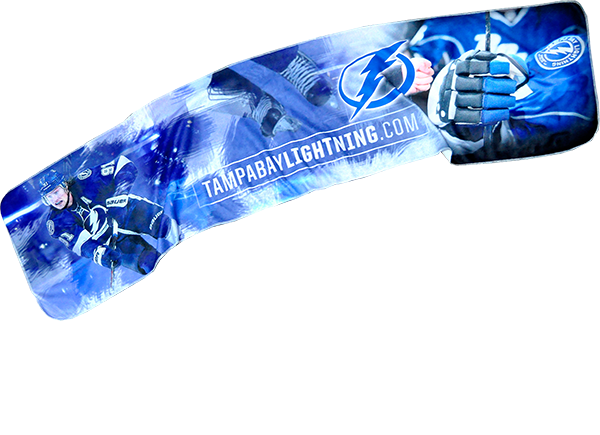 Thanks to the high quality of the outcome they have enlarged the range of our products. 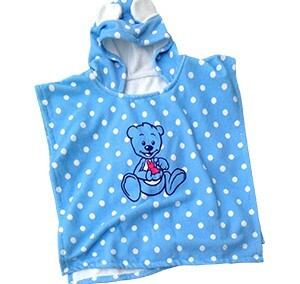 We take special care to make the things we create look fashionable and neat. 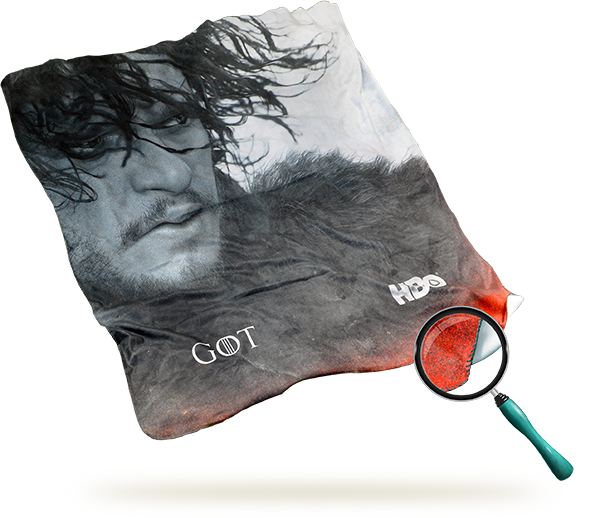 We are experienced in producing textiles with woven logo and digital printing, bordure or woven image. 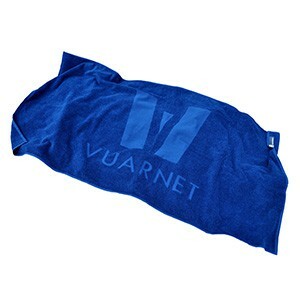 Additionally, you can find in our offer a full range of advertising gadgets such as blankets and towels with printing, hassock and pillows branded using the variety of available techniques and more. 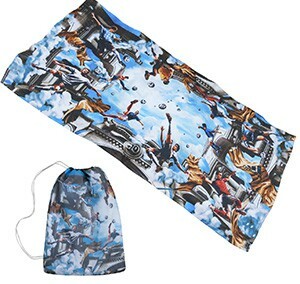 We also specialize in making personalized deck chairs and bed sheets.  All products are made in European Union and materials used during the production process are certified including the Oeko-Tex Standard 100 certificat.